Cynthia McDonald, Ph.D., CMHT, draws on her personal experience in navigating various life transitions as well as her extensive professional education and background to assist you in making the most out of the changes you are facing. Cynthia's personal familiarity with health challenges, career changes, loss, spiritual transitions, lifestyle habits, and stages of life make her a compassionate and experienced guide for individuals facing life transitions. Also, her experience in business, research, and teaching make her a valuable ally and consultant for organizations seeking to develop integrated healthcare programs that serve their patients and / or communities. A Ph.D. in Transpersonal Psychology from the Institute of Transpersonal Psychology in Palo Alto, California with a certificate in Transpersonal Education and Research, 2009. 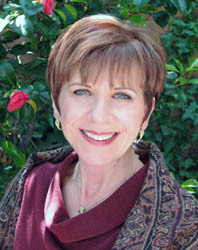 A Masters in Psychology from the Institute of Transpersonal Psychology in Palo Alto, California, 2008. A Bachelor of Arts in Transpersonal Psychology from Burlington College, Vermont with a focus in mind-body medicine, 2005. Certified in Hypnotherapy from the Palo Alto School of Hypnotherapy, Palo Alto, California, 2008. Certified in Advanced Hypnotherapy from the Palo Alto School of Hypnotherapy, Palo Alto, California, 2009. Certified in Clinical Hypnotherapy from the Palo Alto School of Hypnotherapy, Palo Alto, California, 2009. Certified in Medical Hypnotherapy from the Palo Alto School of Hypnotherapy, Palo Alto, California, 2009. Completion of the Mind-Body-Spirit Professional Training and the Advanced Training Program from the Center for Mind-Body Medicine in Washington, D.C., 2004. Instructor, practitioner, and researcher of Transformative Living Practices. Over 15 years of combined experience in hypnotherapy, peer and pastoral counseling, mentoring, teaching, and facilitating personal growth groups. Over 30 years of business experience including marketing, strategic planning, program development, executive coaching, and management. Over 400 hours of training in hypnosis, mind-body skills, and Transformative Living Practices. "Dr. Cynthia truly listens and provides thoughtful questions that get to the heart of the issue. She develops a customized approach and works with me patiently...She gently, powerfully, and efficiently helps you move through issues. She is a true healer. I would recommend Dr. McDonald to anyone."